This tinted bronzing serum enriched in skincare benefits with wrinkle control, smoothing and firming properties, ensures a flawless sheer tan. Its exklusive Densiliss technology combines Mimetic Factor - a patented plant-based collagen and fibroblast booster - with specific Soft Focus Sun Glow micro-prisms. 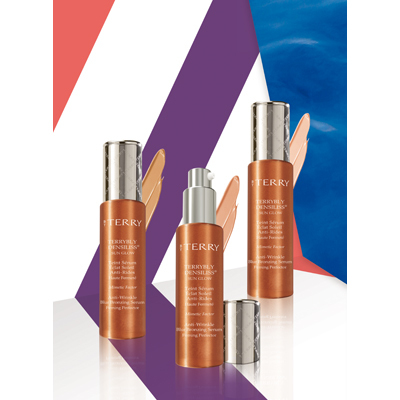 This advanced technology enhances the tan and blurs blemishes while correcting the skin texture for an ultimate healthy glow. It intensifies and lifts contours, smooths facial features and creates a natural second-skin tanned effect. The complexion is fresh, sun-kissed and bursting with youth and radiance.